With crowds present at all hours of the day, the main, limestone-paved street of Stradun proves that Dubrovnik is one of the most popular and attractive coastal cities in the world. Walk the historical stone walls and overlook the red-tiled roofs of the city’s homes, while also identifying key locations from the hit series Game of Thrones (King’s Landing ). Dubrovnik’s spectacular beaches, deep blue sea, rich cultural heritage, and unforgettable nightlife await you. Search Dubrovnik tours. It comes as no surprise that Kotor is often listed as a top, summer tourist destination. 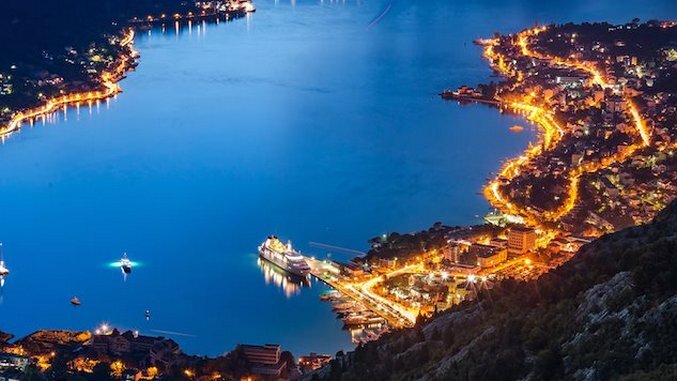 Located in a secluded section of the Gulf of Kotor near the limestone cliffs of Mount Lovcen, Kotor’s Old Town was built between the 12th and 14th centuries and is a UNESCO World Heritage Site. With its narrow streets and fascinating squares, churches and palaces, Kotor is an absolute must see. Hike the approximately 1,350 steps to the Castle of St. John for an unforgettable bird’s-eye-view of the Old Town of Kotor. Search Kotor tours. The southern coastal town of Sarandë is one of the most popular summer destinations along the Albanian Riviera. Situated a short distance from the Greek island of Corfu, Sarandë offers pebbly beaches with beautiful and clear, turquoise waters. You can stroll along the extensive promenade by the sea, or visit the nearby remains of the ancient city of Butrint , a UNESCO World Heritage site, and the Blue Eye Spring . Search Albania tours.